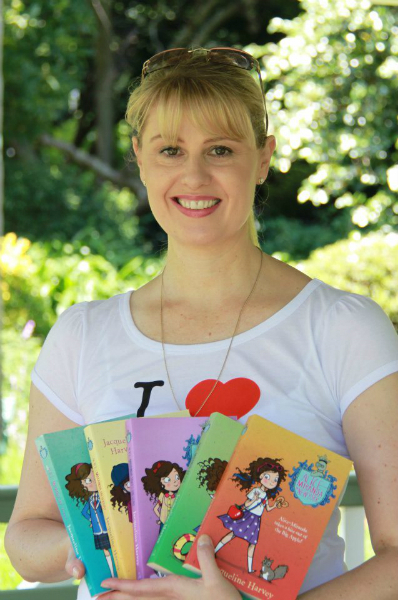 Australian Author Jacqueline Harvey writes the best-selling Alice-Miranda Series and has just released the second book in her new series for younger readers, Clementine Rose. In March of last year I was fortunate enough to attend one of her events/signings @ Sheares bookshop and this year I am thrilled to being going again. 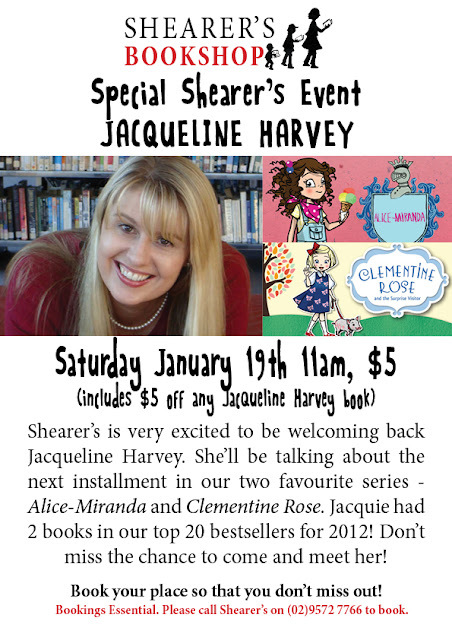 Just booked my ticket and can't wait to hear more about one of my favourite series, Alice-Miranda. Alice-Miranda is a really good series with a cast of crazy, funny and witty characters and interesting and captivating plots. I have also interviewed and meet Jacqueline and she is really nice and a very talented Author. Can't wait for this event, I will be sure to have a after-event post ready for you. 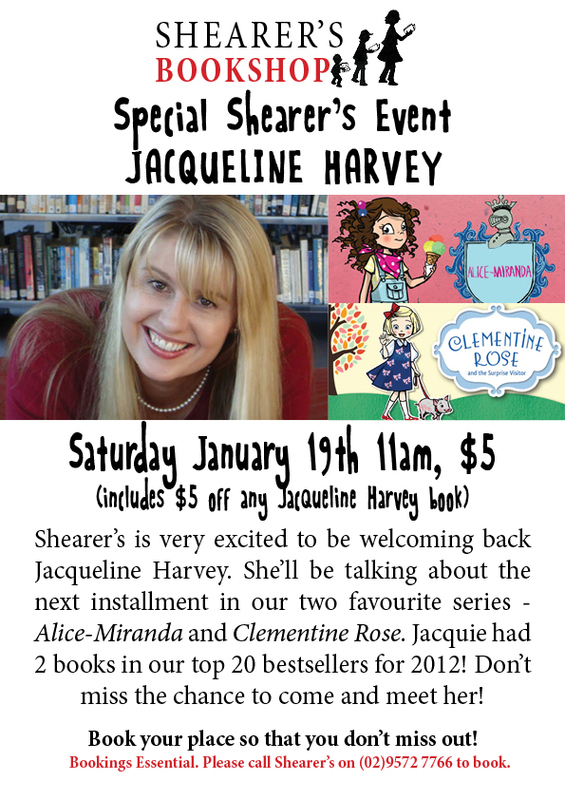 For all of my Jacqueline Harvey related posts click here. PS. Go us Aussies, we survived 41 degrees of blazing heat and bush fires. I spent all day the pool and I am so relieved for the breeze that has settled of NSW today, let's just hope it stays. My wishes are with those who were effected by The Bush Fires.